The main difference between Nematoda and Annelida is that Nematoda has a cylindrical body with tapered ends whereas Annelida has a cylindrical body, which is segmented. Therefore, Nematoda is called roundworms while Annelida is called segmented worms. Furthermore, Nematoda has a pseudocoelom while Annelida has a true coelom. Nematoda and Annelida are two animal phyla that consist of invertebrates with elongated bodies. 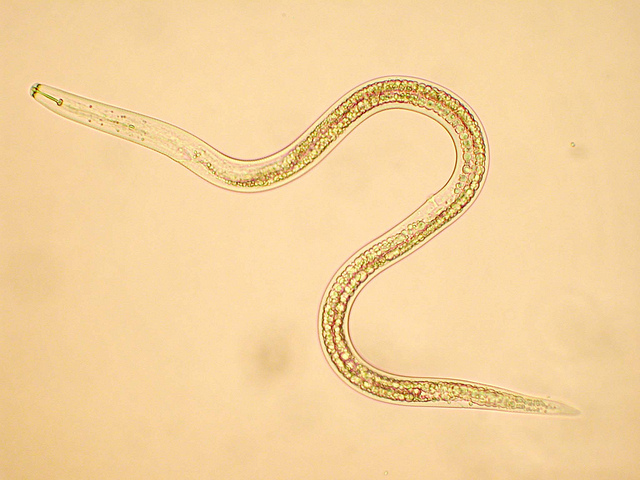 Most Nematodes are parasites in plants or animals while most annelids are free-living in the soil. Nematoda is an animal phylum that consists mostly of parasitic worms that have tapered ends. Therefore, they are also called roundworms. As nematodes lack a mesoderm, their organs are always bathed in the fluid of the body cavity. Their body cavity is called a pseudocoelom. They also lack a circulatory system and the cells of the body obtain nutrients through diffusion. Nematodes have a hard, outer-covering called cuticle in their epidermis. Their body surface also consists of ridges, warts, and rings. Most nematodes are dioecious animals with separate sexes. But, some of them can be hermaphrodites. The three classes of nematodes are Dorylaimida (dorylaims), Enoplea (enopleans), and Secernentea (secernenteans). Dorylaims live in the soil or freshwater. Enopleans are parasites of plants and animals including humans. Secernenteans are also parasites in humans. Annelida is an animal phylum with segmented worms. The segments are the repeating sections that collectively form the body of annelids. Each section consists of a separate set of internal organs. Annelids lack an obvious head or antennae. 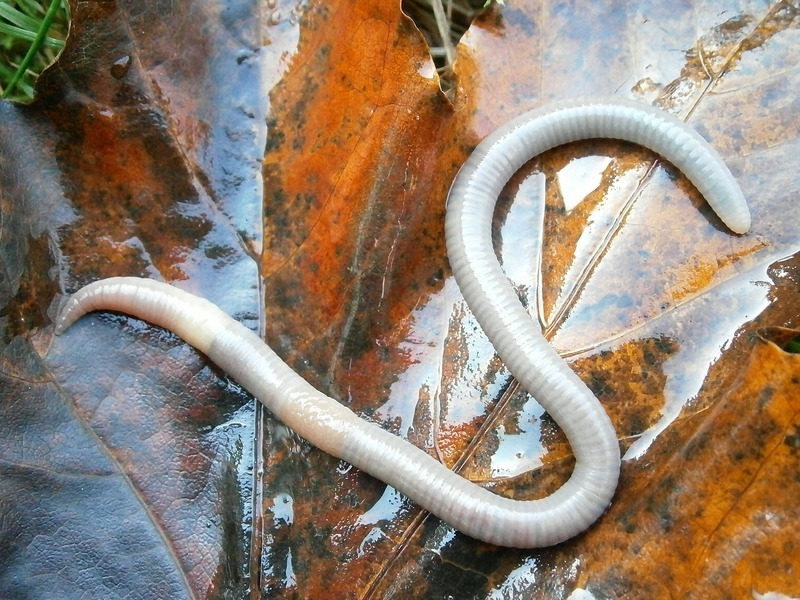 Most annelids live in the soil aiding the aeration of the soil. They feed on primary detritus and other decaying organic matter. Annelids have a complete digestive system. The three classes of annelids are Oligochaeta (earthworms), Polychaeta (bristle worms), and Hirudinea (leeches). Oligochaeta consists of terrestrial members. Polychaeta is the largest group of annelids that live in marine habitats. Hirudinea consists of the parasitic members of annelids. Nematoda and Annelida are two animal phyla that contain invertebrates with an elongated body. Both have a bilateral symmetry. They have a complete digestive system. They can be either free-living carnivores or parasites in plants and animals. Nematoda refers to an animal phylum of worms with slender, unsegmented, cylindrical bodies with tapered ends found abundantly in soil and water while Annelida refers to an animal phylum that comprises cylindrical bodied, segmented worms. This is the main difference between nematoda and annelida. Nematoda is called roundworms while Annelida is called segmented worms. Nematoda has a medium complex body while Annelida is the group with the most complex body plan among other worms. Nematodes do not have a mesoderm while annelids have a well-developed mesoderm. Nematodes have a pseudocoelom while annelids have a true coelom. The organs of the nematodes are bathed in the fluid of the body cavity while the organs of the annelids are separated from the coelom cavity. Nematodes have an unsegmented body while annelids have a segmented body. Nematodes have tapered body ends while annelids do not have tapered ends in their body. Nematodes can be over 4 feet long while annelids are 8-10 inches long. Nematodes do not have a circulatory system and the nutrients move through diffusion while annelids have a complete circulatory system with a heart, blood vessels, and blood. Nematodes only have longitudinal muscles while annelids have both longitudinal muscles and circular muscles. Nematodes have more complex eyes than annelids while annelids have eyespots. Nematodes have a rigid cuticle made up of collagen while annelids do not have a cuticle. Nematodes have separated sexes while annelids are hermaphrodites. Most nematodes are parasites that cause severe infections while most annelids live in the soil and they aid in the aeration of the soil. Some nematodes are roundworms, threadworms, and eelworms while annelids are earthworms, bristle worms, and leeches. Nematoda consists of long, cylindrical bodies with tapered ends while annelids are the most complex worms with a segmented body. Most of them are infectious while annelids are beneficial. The main difference between Nematoda and Annelida is their body structure.